The folks at Ludus Magnus Studios have been a little silent lately. Apparently, they had a really good reason for that: their offices got broken into and all their stuff was stolen! So they were waiting to get replacement computers and such. Thankfully, it seems all their files had backups elsewhere, so nothing was lost development-wise. So that was a bit harrowing. They're now set up in a new office and are happy to preview the new Nova Aetas expansion, Under Siege. Obviously, it's good when a Kickstarter campaign gets off to a good start. Companies hope to have that initial jump right at the gate to hopefully get some good press going about the project. Well, Ludus Magnus Studios' newest game, Sine Tempore, got off to a good start. They funded in 34min. and are working their way through stretch goals. Sometimes you just don't get a chance to back a Kickstarter that you really want to. That funding period might fall during a time when you're short on cash and you just can't make it. It can really bum you out. But in the past couple years, more and more companies are letting people join in after the project's concluded during a Late Backer period. Well, Ludus Magnus Studio is one such company. They've just opened up their Pledge Manager and are letting people join in now. Our week is halfway over, dear TGN readers! For many, it's been a shortened week. That must be nice. And hopefully you have some gaming planned for the weekend. I'm not entirely sure what my plans are going to be yet. Anyway, as it's Wednesday and it's 2pm (here in Atlanta, anyway), it's time for our Midweek Snippets post. 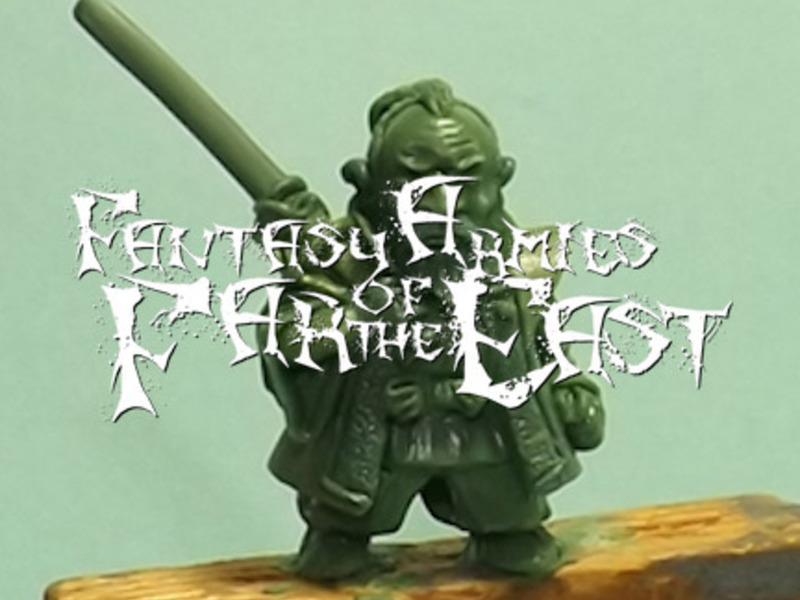 In this batch of bite-sized stories we have: New The Army Painter Hobby Set Announced, Hero sheet for Nova Aetas from Ludus Magnus Studio, and Oddzial Osmy’s 3mm August Releases Arrive at PicoArmor. 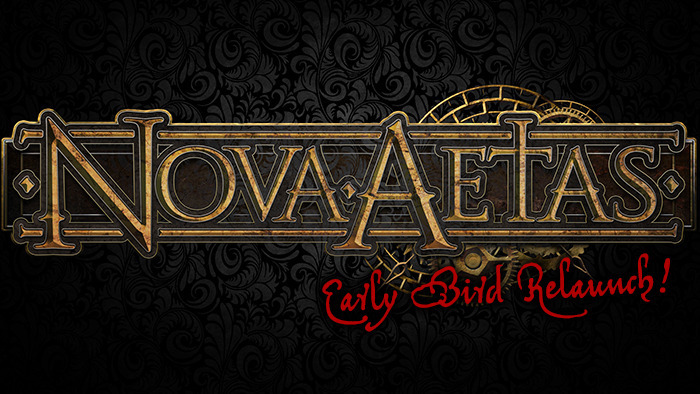 Ludus Magnus Studios regrouped, reconfigured, re-mathed, and has relaunched their Kickstarter campaign for Nova Aetas, their cooperative dark renaissance strategy game. They've already made it over 50% of their goal in this short time, and there's still 22 days to go. It seems to be the general consensus that this week "took forever." Has that been the case for you? Anyway, that's all in the past, as the weekend will soon be upon us. What sort of gaming do you have planned? We've also, as usual, been collecting some of the shorter stories together for presentation. And here you go. 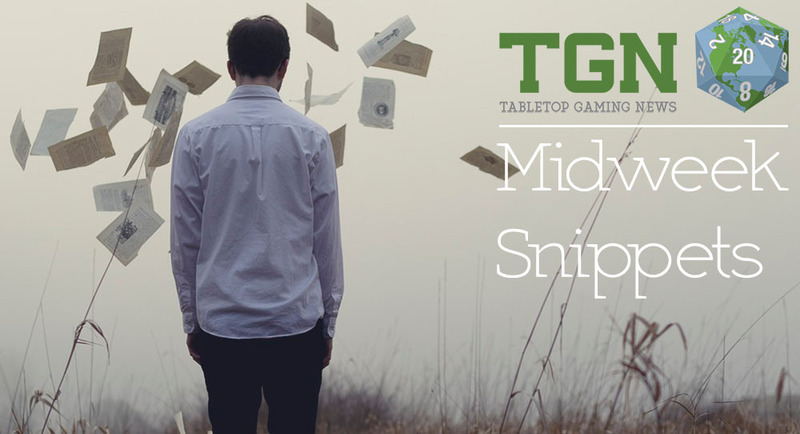 This time we have: More of The Fiver from The Meeple Mechanic, Godslayer Gnolls Swarm the Battlefield, More $1 shipping from LaserCutCard, Ludus Magnus Studio presents Vezio the Executioner, New Female Punk Heads and Shoulder Pads from Brother Vinni, New ISO Shipping Container Variants at Burn In Designs, Heroic Maps - Encounters: Winter Wilderness Locations, New MDF Paint Racks from Advanced Deployment, Beardy Brothers Announces Project Green Plunder, Tooth and Sword chibis now availible, New Kromlech Mutated Shoulder Pads, New Hardfoam Container Sets from Micro Art Studio, and the Final Days for Theomachy up on Kickstarter. I know that gamers aren't generally known for their sports knowledge, but you'd have to be willfully ignorant not to know that it's Big Game time (because the NFL is about as litigious as GW, I'll skip out on using the actual term for what's going on today). That's right, here in the US, our American Football championship is happening tonight. Wings, beer, nachos, giant sandwiches, and pizza will be consumed in mammoth proportions. 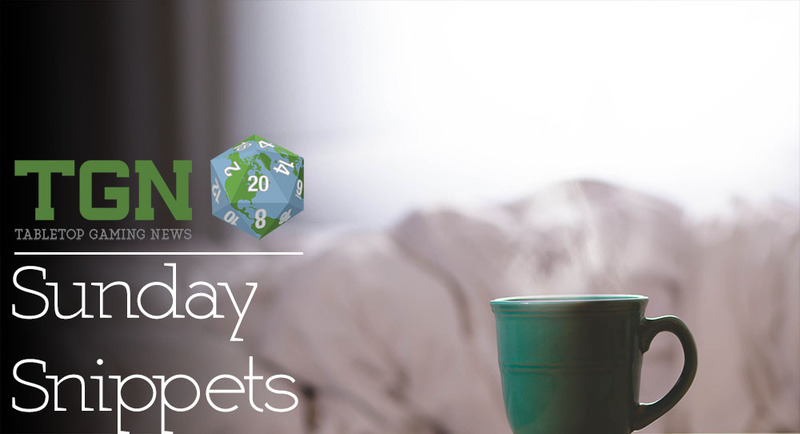 But before you head to your party, check out some these bite-sized stories. 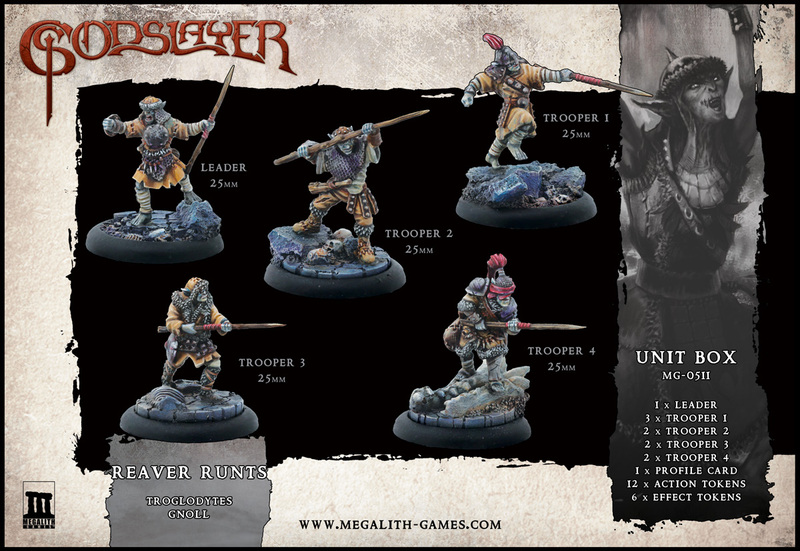 This time we've got: More unlocks for the Fightin' Fungi Kickstarter, a new release from Hitech Miniatures, New Knights Bundle from Kabuki Models, New Gaming Mats from Deep-Cut Studio, New Mine Tunnel Terrain from Heroic Maps, NOVA 40K Qualifier offered at TotalCon 29, New Previews Posted for Alternative Civil War, New 15mm Houses from Tabletop-Art, New Drunk Goblin Guard from Rebel Minis, and Ludus Magnus Studios announced their relaunch date for Nova Aetas. Ludus Magnus Studio is working on regrouping after they canceled their Kickstarter campaign. Obviously, they are not disheartened and have a new piece of concept art to show off. This one's the Centaur Archer. 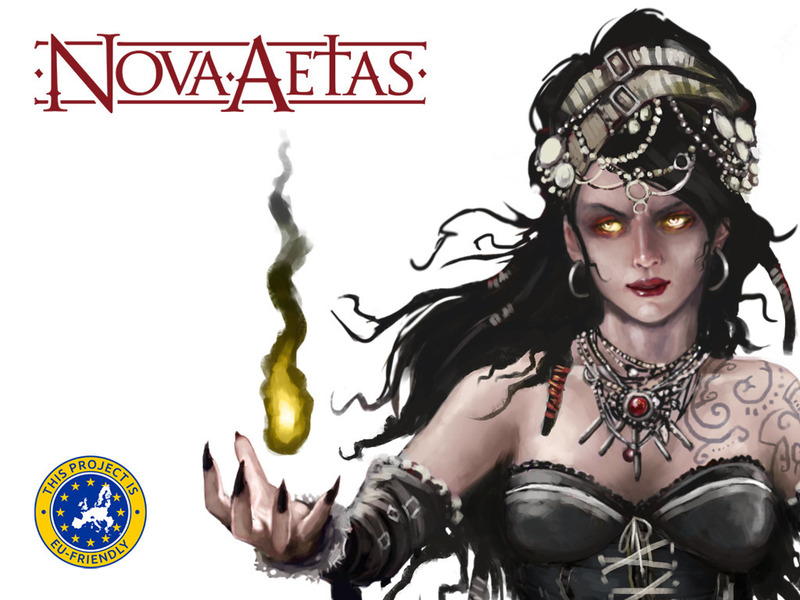 Ludus Magnus Studio did a mid-campaign reboot for their Nova Aetas Kickstarter. They've not started entirely over, but had a bit of a reconfigure. As always we are careful to your tips so we decided to reboot the project on way. 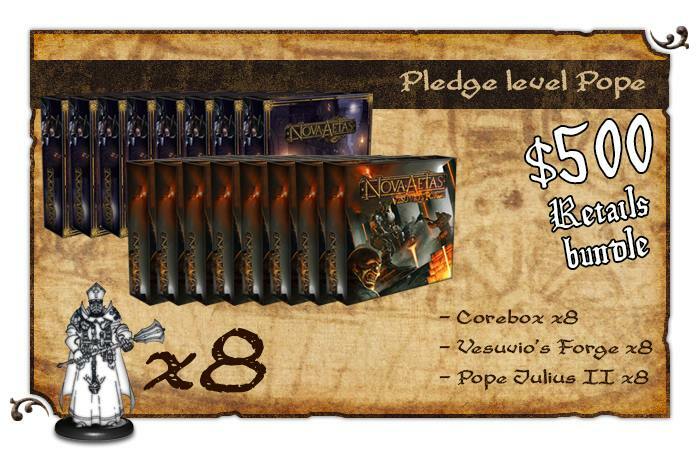 Ludus Magnus Studio has added a new pledge level for retailers to their Kickstarter campaign for Nova Aetas. They've also got some preview renders up they'd like your opinion on. We are happy to show you two new WIP. Are two miniatures on which our sculptors are working. 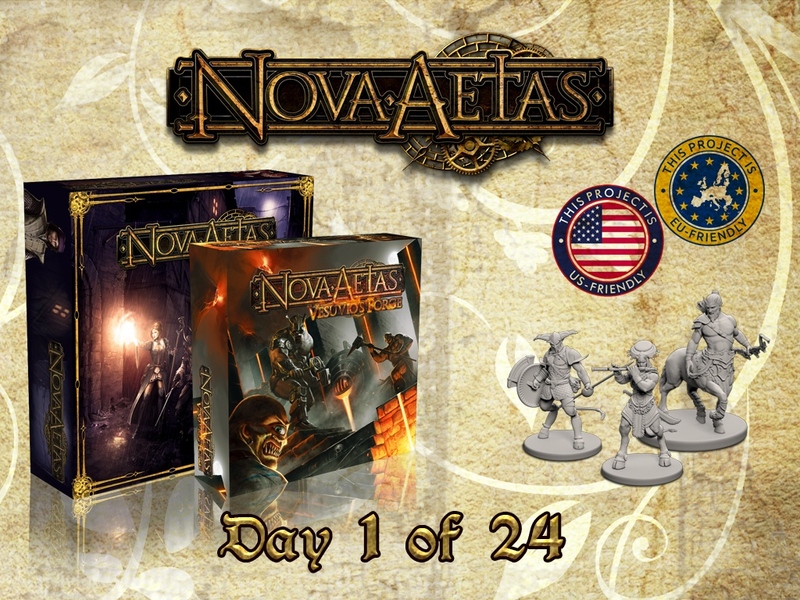 Ludus Magnus Studio has their Nova Aetas Kickstarter campaign underway. They're already around 1/3 funded, so be sure to check them out.  Nova Aetas is a tabletop miniature wargame set in an alternative Italian Renaissance. Inspired by the classic japan tactical RPG (such as Final Fantasy Tactics and Tactics Ogre), in Nova Aetas tough you will fight battles against enemies overseen by a sophisticated artificial intelligence. Every challenge will get you in front of choices that can change the course of events. 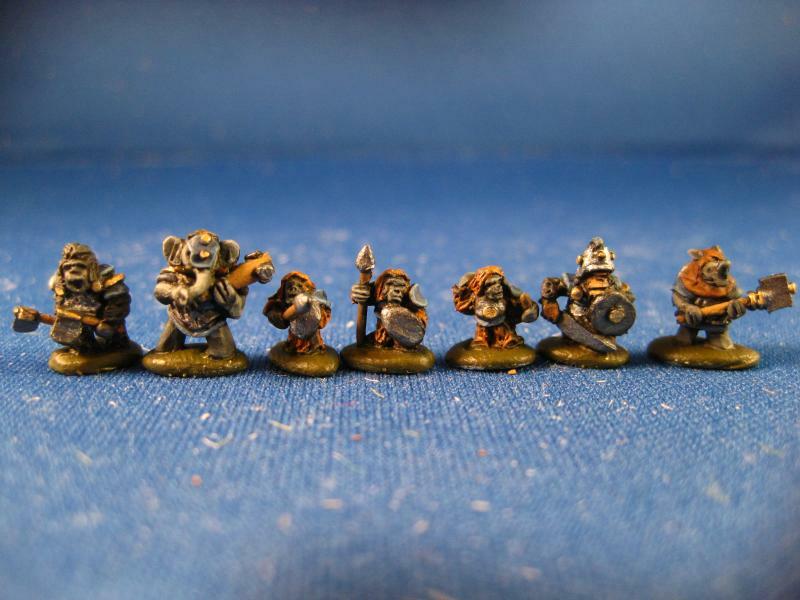 To guarantee a more more engaging game experience, we opted for high quality materials and the use of highly detailed miniatures. 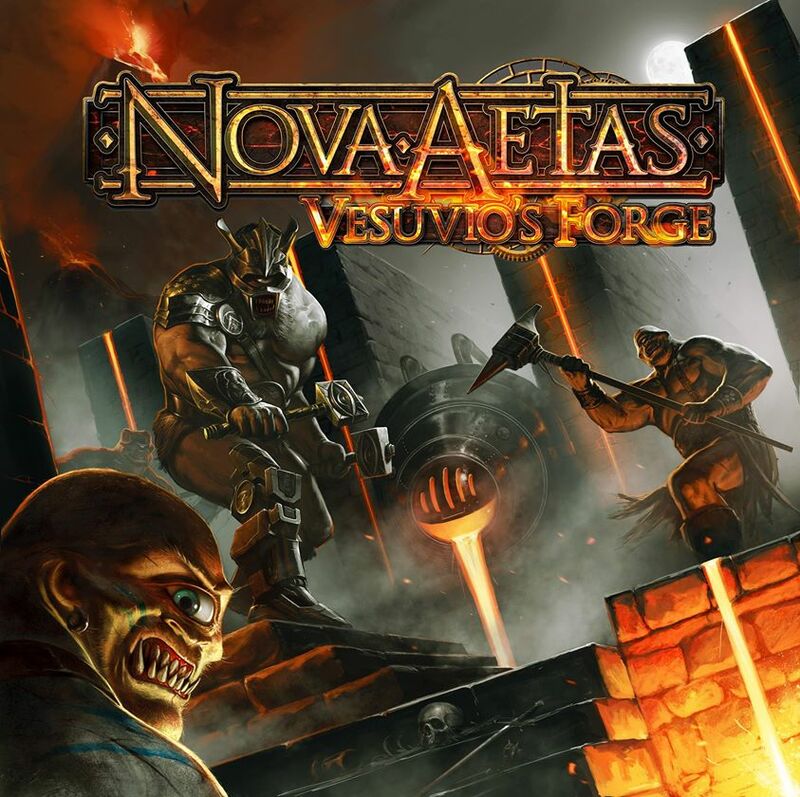 Ludus Magnus Studio is showing off their WIP cover for Vesuvio's Forge for Nova Aetas. Their Kickstarter launch is just around the corner. We are proud to presents the semi-final version of Vesuvio's Forge cover! 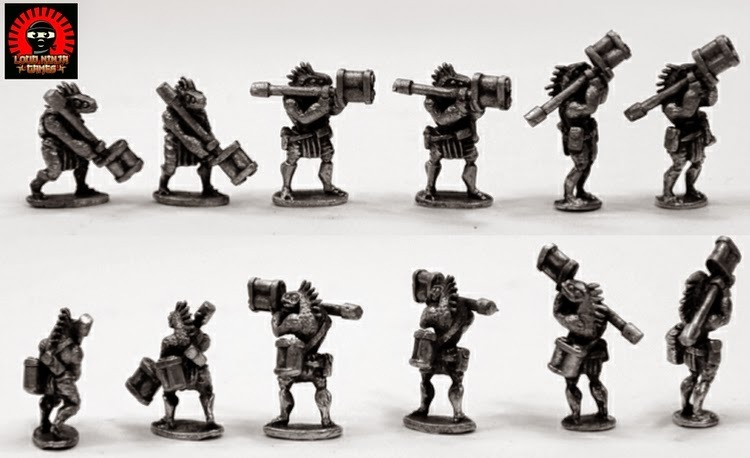 Vesuvio's Forge will be the first Excluvie Expansion for Nova Aetas only available during our KS Campaign!! 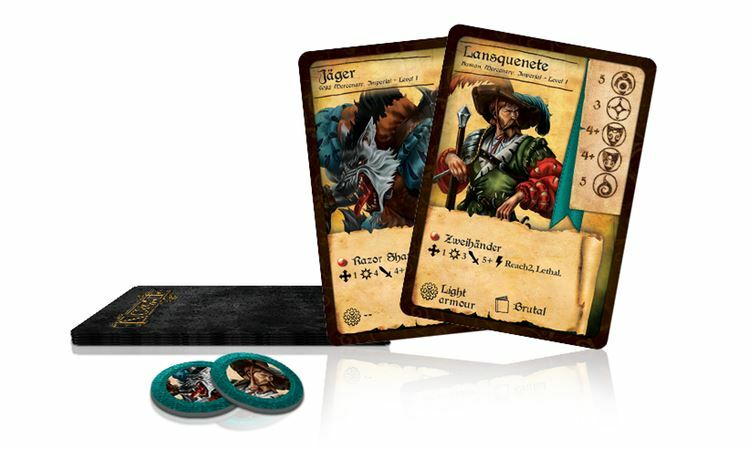 Ludus Magnus Studios is getting close to launching their Kickstarter campaign. They've got a preview up for people to look at and comment on before it goes live. The countdown is started...are you ready? Ludus Magnus Studio is showing off previews for the tokens they're working on for Nova Aetas. Hello everyone! The work on the graphic part of Nova Aetas proceeds intensely and today we are happy to show you the study we are doing on tokens of the game. We discussed a lot about the role that the tokens will have in the game and on their functioning, in particular with regard the negative and positive status. The outcome of the discussions was the division into 3 categories immediately distinguishable from their frames: wounds (beige frame), negative status (dark red frame) and positive status (blue frame). 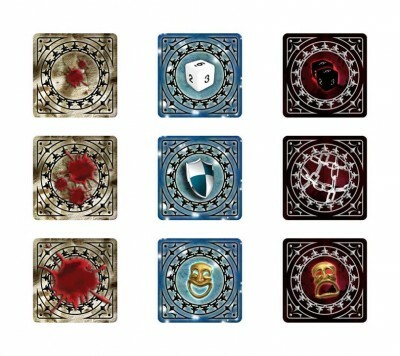 We think that this division in colors will allow you to more easily identify the right tokens during the game. When we will complete the work on status, there will be no less than 20 different tokens! yes ... we love tokens! As usual we wait for yours feedback! 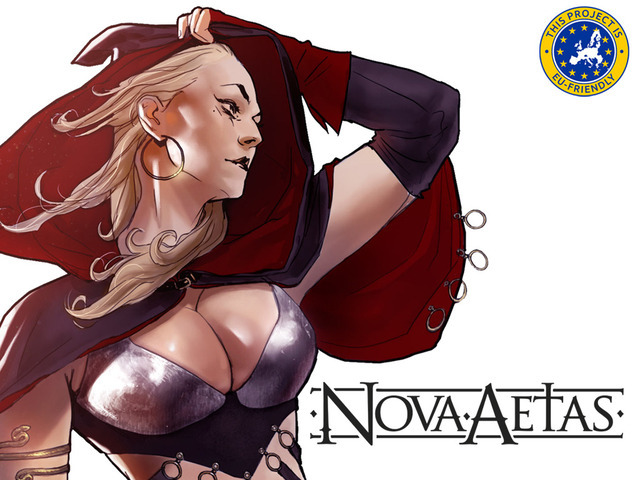 How Will Stretch Goals work in Nova Aetas? 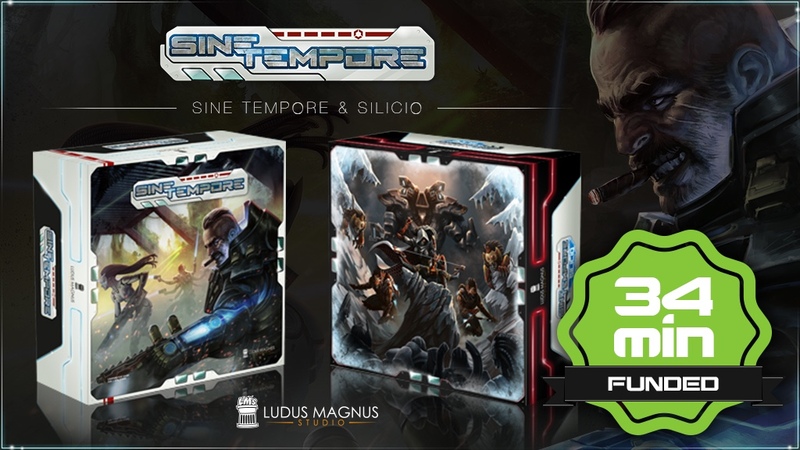 Ludus Magnus Studio gives us a guide as to how they'll be dealing with stretch goals in their upcoming Nova Aetas Kickstarter campaign. Today I will explain how work the streatch goals (SG) of our Kickstarter campaign! The picture below (which will be the first SG) will help us to make things more clear. Ludus Magnus Studio is showing off the core box contents for Nova Aetas over on their Facebook page. Check it out. Hi all! Finally we can show you Nova Aetas core box content! 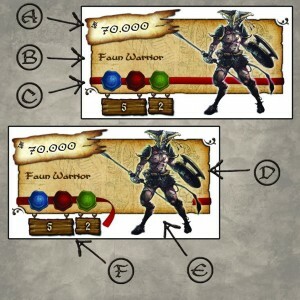 Here you can see a little preview for the graphics layout of our crowdfunding campaign, give us your opinion!! Enjoy! !